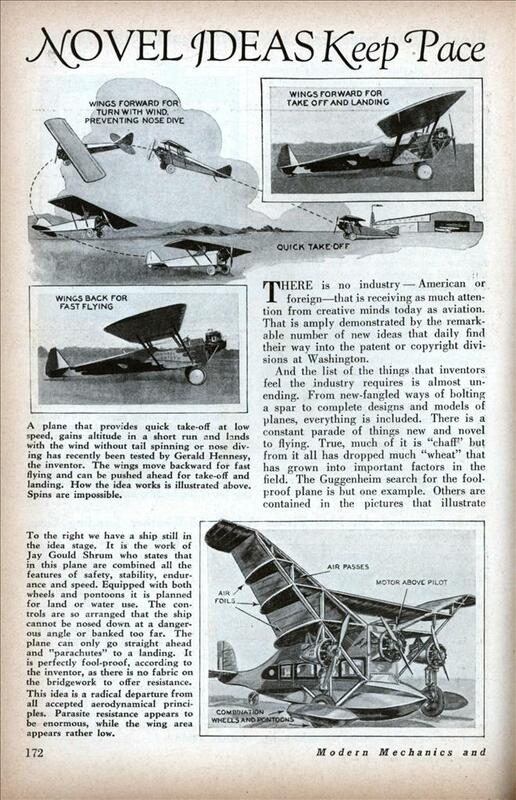 THERE is no industry — American or foreign—that is receiving as much attention from creative minds today as aviation. That is amply demonstrated by the remarkable number of new ideas that daily find their way into the patent or copyright divisions at Washington. And the list of the things that inventors feel the industry requires is almost unending. 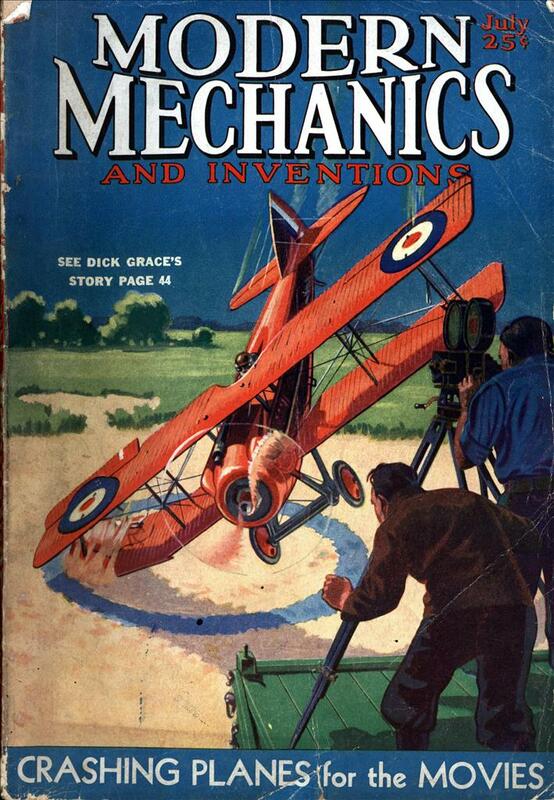 From new-fangled ways of bolting a spar to complete designs and models of planes, everything is included. There is a constant parade of things new and novel to flying. True, much of it is “chaff” but from it all has dropped much “wheat” that has grown into important factors in the field. The Guggenheim search for the foolproof plane is but one example. Others are contained in the pictures that illustrate these two pages. They—in practically all cases—are ideas from fellows outside the pall whose only contact with the field is a sincere interest to add their bit of knowledge to an industry that requires the help of many to raise it to perfection. The tendency seems to be toward increasing the factor of safety. In the three ideas shown here that thought has been dominant. Vance, Shrum and Hennesy have each tried to overcome some of the hazards of air travel and in a measure seem to have succeeded if tests and models are any criterion at all. In the Eaglerock that Vance equipped with two sets of auxiliary control surfaces, Fritz Secor, veteran stunt pilot, flew about without a hand on the control and finally left the cockpit altogether and climbed about the wings and fuselage to show that the ship could fly and regulate itself alone. I wonder if it was just a new guy who wrote that, or if Jay Gould Shrum had somehow made an enemy in the Modern Mechanix offices? Maybe the editor gre up in Rock Ridge, and the other Jay Gould, the Robber Baron, ran a railroad through his town or something.